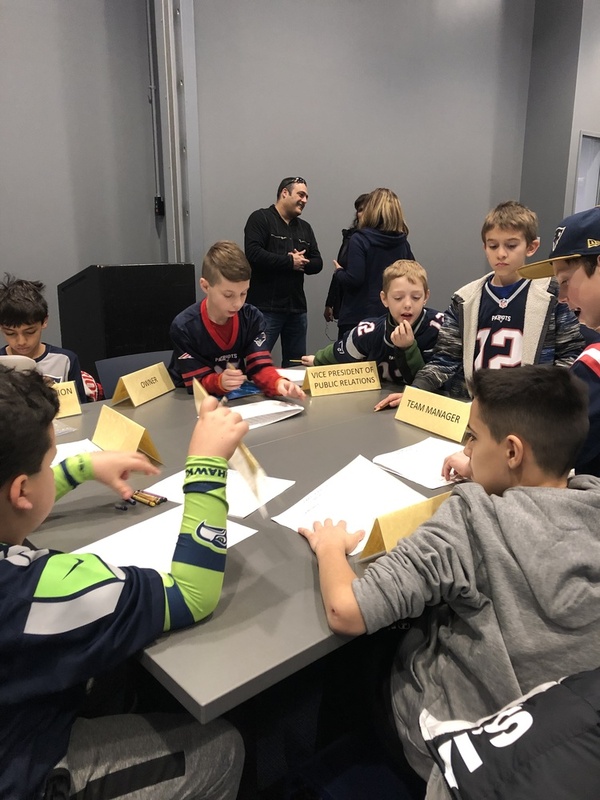 Recently, our Grade 5 students visited the New England Patriots Hall of Fame. Our students enjoyed an on-site, hands-on, grade-level education module. Programs are built so that football fans and non-football fans alike can enjoy the learning experience. The modules are designed to integrate the many facets of sports with real world activities. The sports integration is actually a small part of the modules with the STEM or other subject matter taking much greater precedent. These skills allowed our students to apply classroom concepts and standards to real-life, problem solving activities that facilitated teamwork and cooperation.